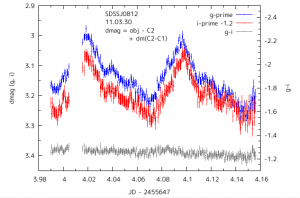 We update LC observed on 2011 Mar 30. 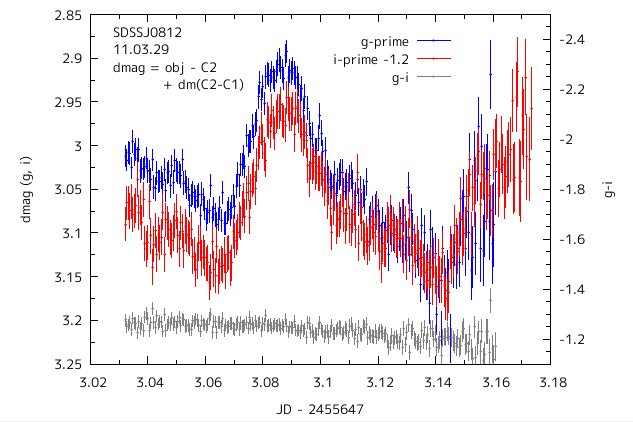 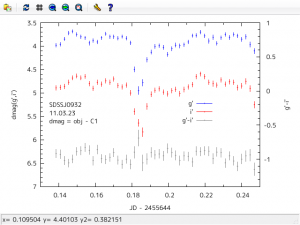 C2 is used for comparison star, but dmag is converted to that using C1. 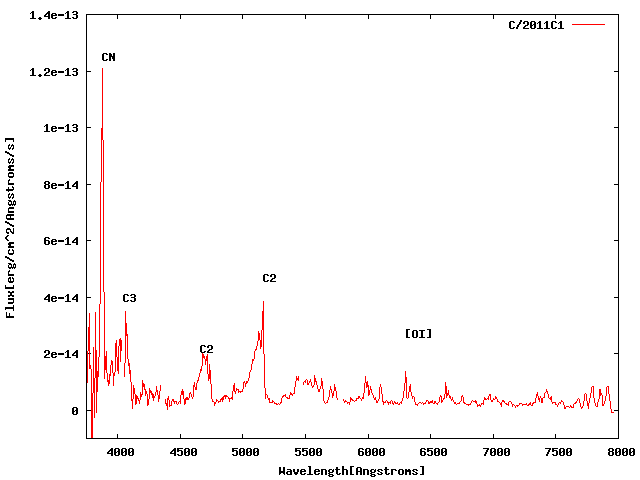 We observed Comet C/2011 C1 (McNaught) on 26 March 2011. 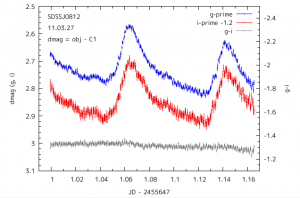 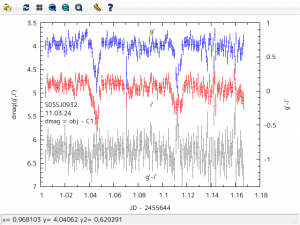 We detected a band emission of CN and Swan bands of C2. 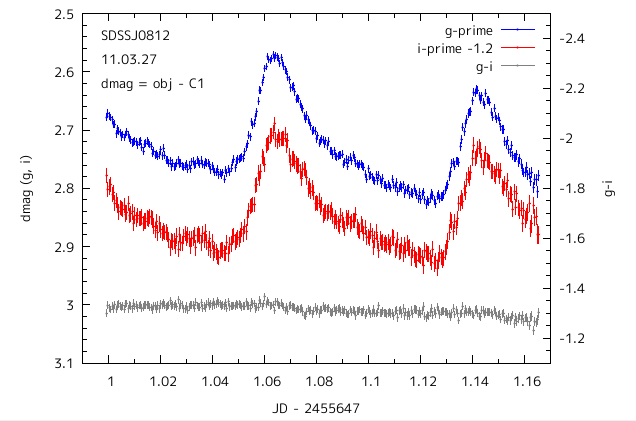 We update light-curve(=LC), observed on 2011 Mar 24. This object is new eclipsing SU UMa-type dwarf nova. 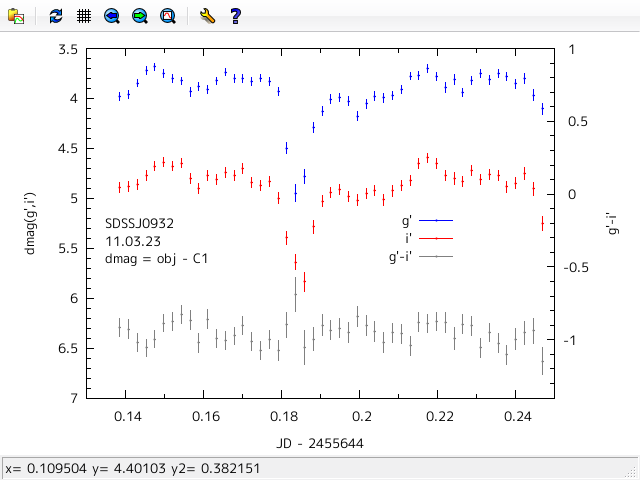 This light-curve was observed on 2011 Mar 23. 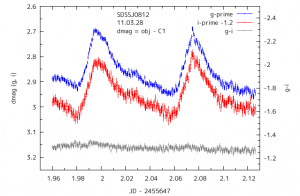 Observed on 2011 Mar 29, in very hazy sky. 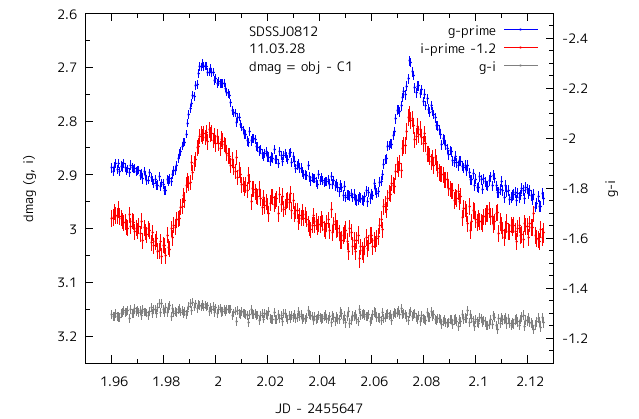 We used C2 star as comparison because C1 star is saturated at i-prime. 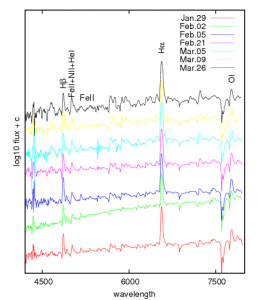 Observed on 2011 Mar 28. 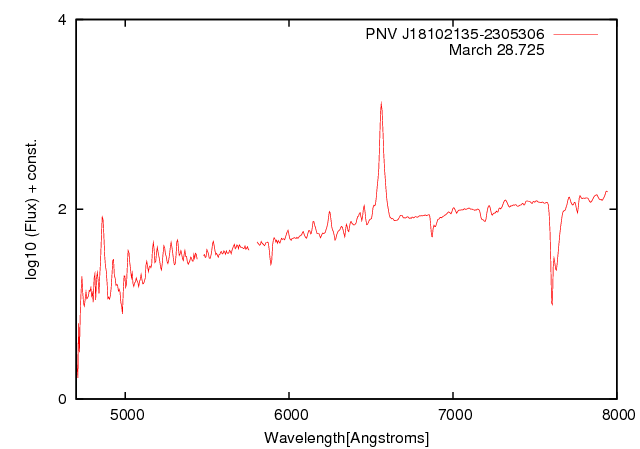 We performed spectrocopic observations of PNV J18102135-2305306 on March 28.725 using Araki-telescope and our low-resolution optical spectrograph (LOSA/F2). 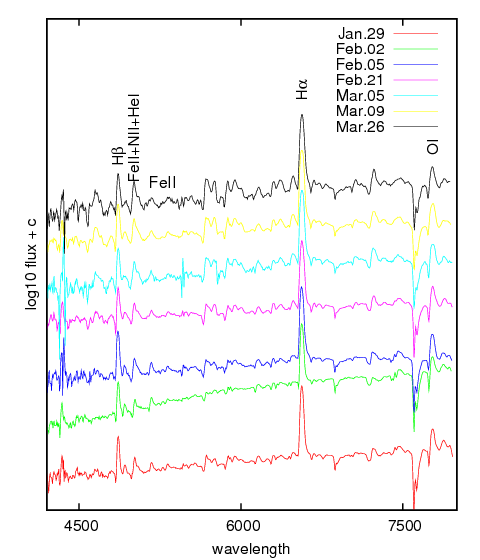 Our spectra (R~550) show prominent emission lines in H-alpha, H-beta, and Fe II[42,48,49] on a highly reddened continuum. 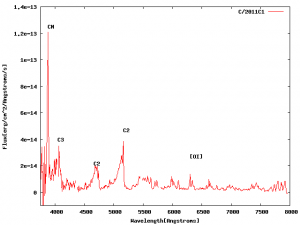 The FWHM of H-alpha emission line is about 900 km/s. Our results suggest that the object is a classical nova with reddened by interstellar matter. 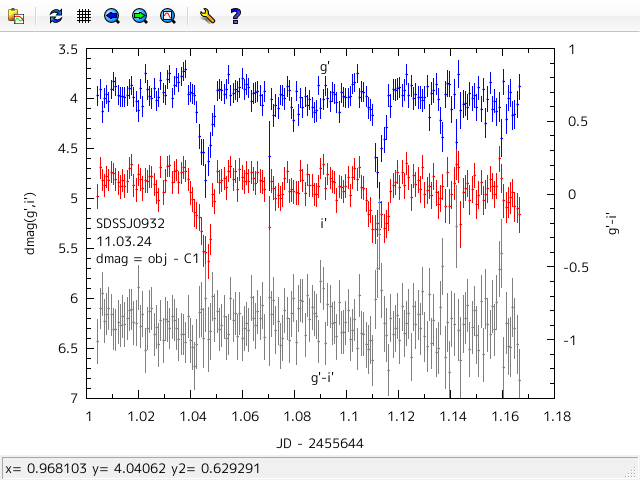 This was observed on 2011 Mar 27. 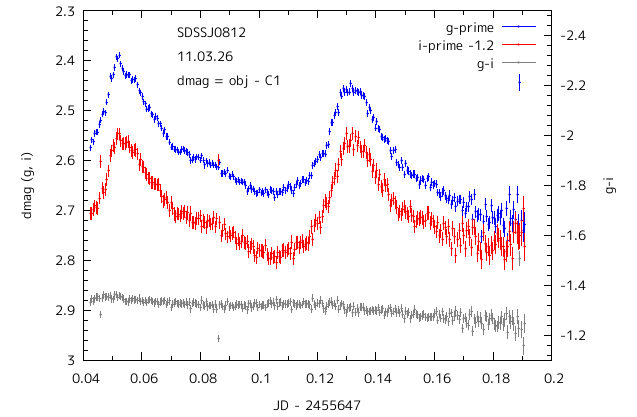 This is SU UMa type DN, in super-outburst, observed by ADLER on 2011 Mar 26. 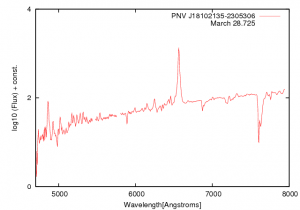 We update spectra of V5578 Sgr. 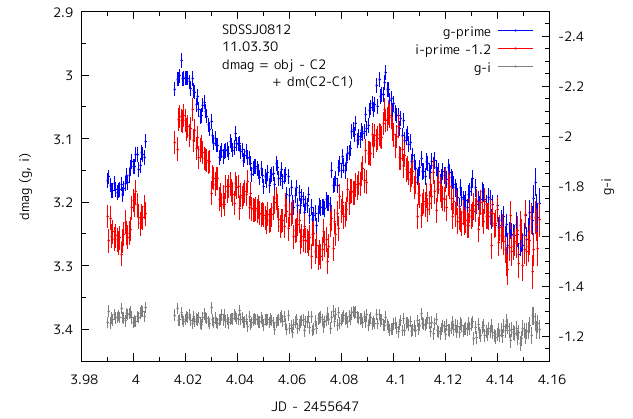 The nova shows slow spectral developments.